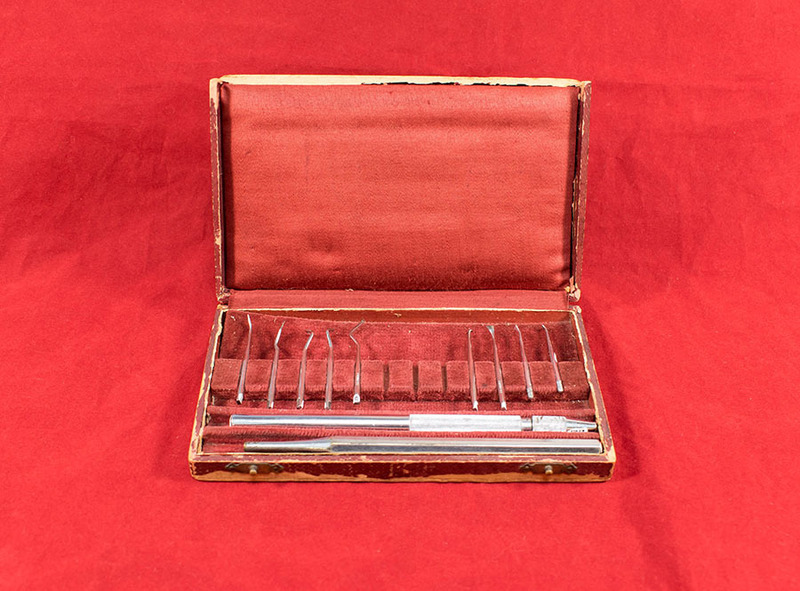 2 holders used for cleaning teeth. 2 designs:- the chuck design & the screw design. Both presented in a cardboard box with a set of 9 interchangeable heads. 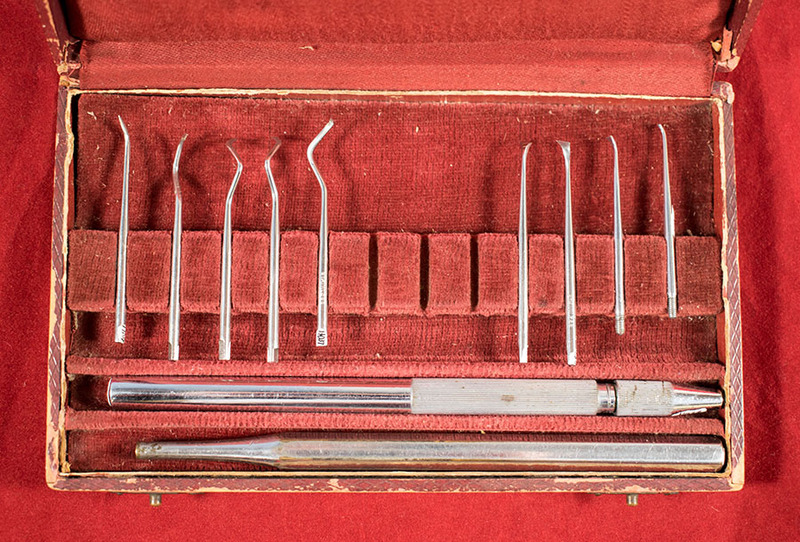 “Scaling Instruments,” Heritage, accessed April 23, 2019, https://heritage.rcpsg.ac.uk/items/show/687. 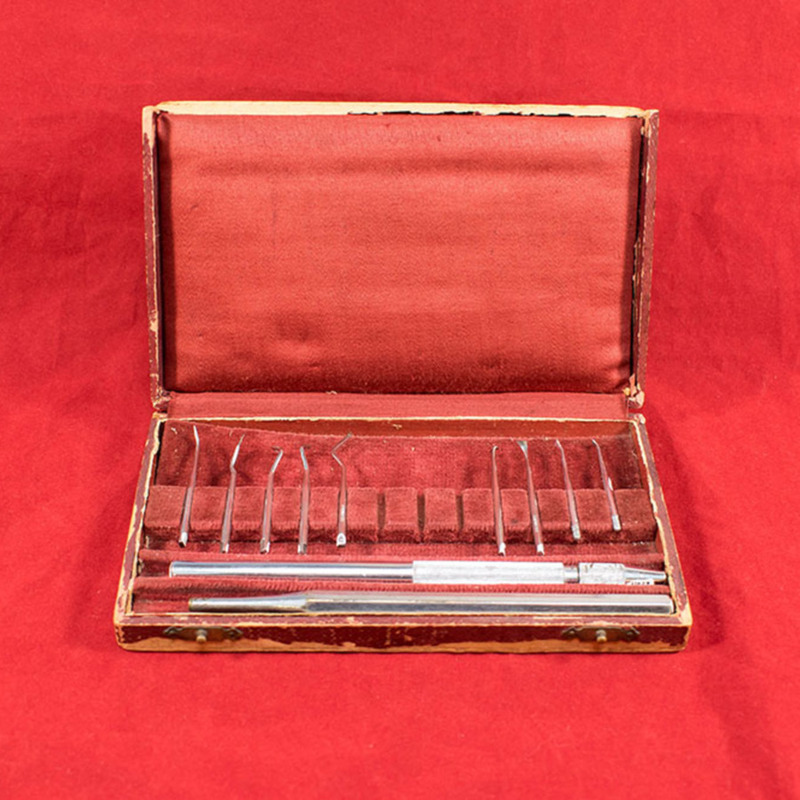 Description: 2 holders used for cleaning teeth. 2 designs:- the chuck design & the screw design. 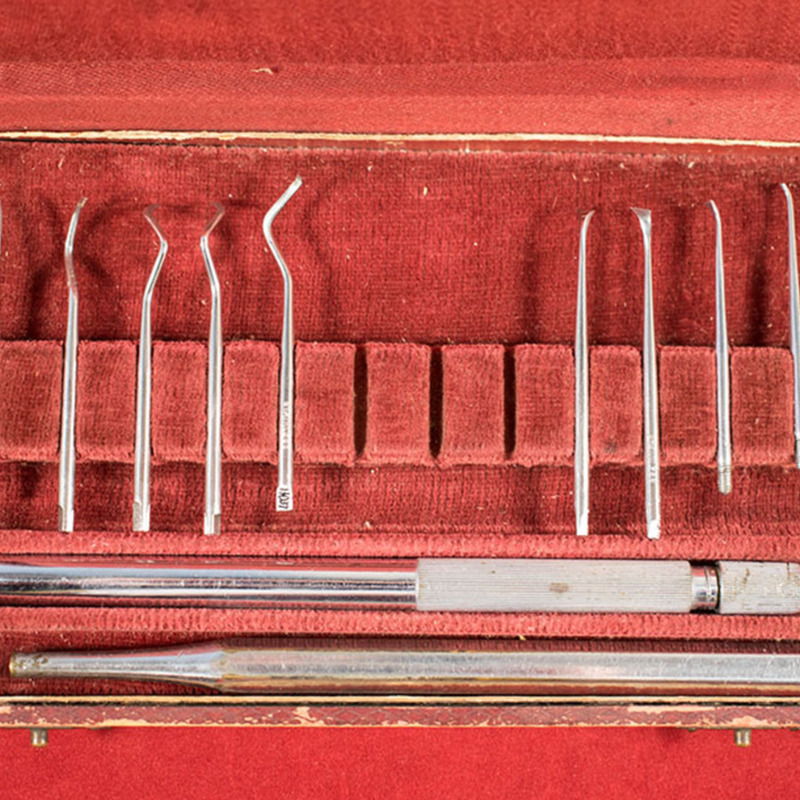 Both presented in a cardboard box with a set of 9 interchangeable heads.